Spinal cord injuries (SCI) affect approximately 285,000 people in the United States. Additionally, around 33 million Americans are living with disabilities that affect daily activities such as self-care, preparing meals, and attending school or work. People with SCI’s, depending on the level of injury, may use power wheelchairs. This is especially common for people with SCI’s at C7 and above due to decreased and variable upper body function. While there are trays for power wheelchairs on the market, it is nearly impossible for power wheelchair users with SCI to actuate them independently. User-friendly trays are extremely expensive, and therefore impractical as well. There is a need for a new type of affordable tray that can assist in daily activities, as well as promote independence. This assistive device focuses on creating a new power wheelchair tray that can be actuated independently by the wheelchair user while not increasing the width of the wheelchair, nor interfering with any wheelchair functions. The design solution created involves a rod with a guided track attached to the wheelchair base using a nearly universal mount. This device uses the mechanical assistance of a spring to help actuate the tray into the use position. It also securely stows underneath the arm rest on the opposite side of the joystick as to not increase the width of the wheelchair. 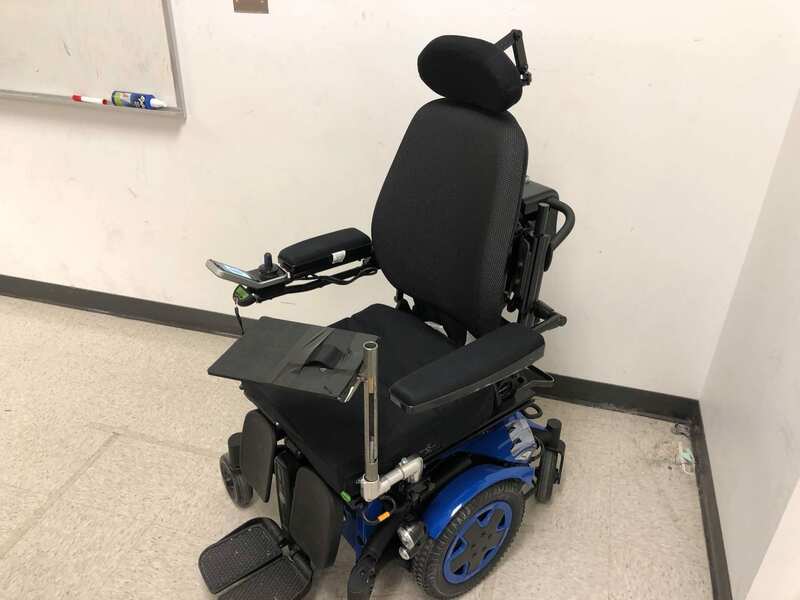 A new device of this sort would help to promote independence with daily life activities which could in turn improve the overall quality of life for power wheelchair users. © 2019 RESNA Student Design Competition. All Rights Reserved.